It's Wincanton Flower Show tomorrow! 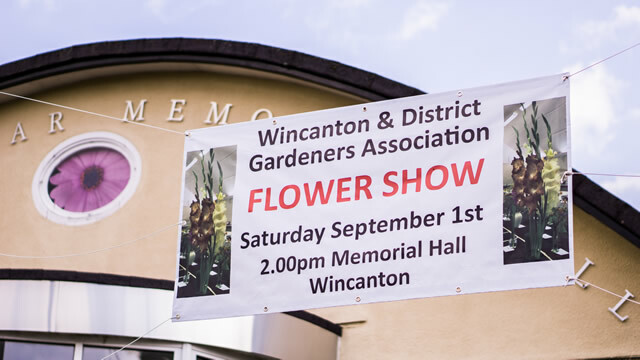 The Wincanton and District Gardener’s Association’s (WDGA) 63rd Annual Show is tomorrow, Saturday 1st September 2018, in Wincanton Memorial Hall. Doors open to the public at 2pm. Local, and some not-so-local gardeners and crafts people will exhibit their works, competing for prizes and trophies. It’s a show for all the family with lots to see and do, but it's not just for gardeners. Competition categories include flowers and vegetables, as well as homecraft such as jams, jellies, curds and chutneys, and handicraft such as knitted items, embroidery, lace and quilt work, upcycling, painting, drawing and photography. If you would like to get involved with the WDGA, or learn more about gardening and crafts, come along to the show on Saturday and talk to some of the members who are involved. A really enjoyable community event, with some great entries. Thanks to all who organised it.